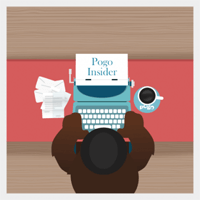 Pogo Llama will be unavailable to answer questions this week so comments on Pogo’s blog post are turned off. Pogo Terry put together a getting-started article on Sweet Tooth Town last week. The updates mentioned in the article have now been added with today’s maintenance. Pogo Daily Sudoku has had many of its in-game achievement badges updated. These were the achievement badges referenced in last week’s service update article. Pogo will be retiring games in two batches in June. See those games here and here. Q for Pogo: Do you have any tips on how to get the H5 games like Sweet Tooth Town, Trizzle, and Quinn’s Aquarium to play smoothly? I don’t know if it’s because Llama’s on vacation or ‘unavailable’ for whatever reason, but there were a few things that are typically included in the Pogo Insider blog post that were not this week. It might be too early to mention these, but there are more marathons coming in April — two overlap in a pretty significant way. As usual you can see everything upcoming on the New & Coming Soon page. And the big elephant in the room: 12 badges listed for next week’s challenges? An event? Starting tomorrow? I just noticed that 10 of the badges have you do the task “before the event ends”. Would these 10 be part of an upcoming marathon? I just ask because the two that are scheduled for “this week” use that wording. A puzzle indeed! We’ll probably know more tomorrow morning. My guess is that it’s not a Marathon, or it would be in a PBA. I think this is going to be another “new and exiting Pogo event” that will last for multiple weeks. Just when I think I’m going to have some time to play a game just for enjoyment they throw something else at us. I honestly don’t understand how Pogo thinks that anyone with a job and/or a family has the time to do it all. I know it’s a choice, but I feel sorry for those that were always able to keep up with everything, and now have to make a choice on what to do, and what they have to pass on. Maybe they are trying to limit the free badges given out. With the Marathon badge albums or Mix-n-Match’s being gifted you got to keep them even if you do not finish them in the assigned time. This way if not completed by the END OF EVENT they will probably be removed from your account. So sad that some of favorite games (Java) will be gone after June. I joined POGO so I could play Pinochle and now it will be gone. Why can’t they update it. Also several of the new HD games have bad graphics. World Solitaire is one, love the game, but hate playing it because movements are so bad. Seems like this week’s blog was a waste of time to me. All it was was a rehashing of old news; no new content per chat, tokens, system requirements,etc. She could have skipped it. You’re right mom, those of us who work do not have time for all these marathons; it’s just too much. There are plenty I either didn’t complete or didn’t complete on time because I do have to work and I do have a family to take care of. I do what I can; don’t worry about the rest. They certainly have been keeping us on our toes lately, haven’t they? I have no words. I have no idea what to make of any of it. I’m appalled to think of the chaos and confusion at headquarters…lol. My guess…..this list is the two weekly challenges that were planned – Daily Sudoku, Solitaire Gardens – and the other 10 are the ones that will be in the Treasure Trail Marathon PBA. I think it’s just some sort of mistake. Ya think? We should be so lucky…. but I hope so. Seriously, too much drastic tampering with tradition. This may just be the “nail” in Spikes’ coffin. I don’t like the “Poppit! Bingo – Be the first one to call Bingo 5 times before the event ends!”. That seems impossible. There have been multiple premium badges with that requirement. I’ve done them all on my account, and have even done most of them on my 2nd account. So it’s very doable as long as you put in the time. i am ranked 200 in this..
i guess thats the top? You have a much better chance of it getting it after midnight EST or early morning Caren. Very doable, but like Suz says…takes time. Good luck! Now Chuzzle Slots is retiring in May. I’m surprised there’s no mention of that in the insider post. Personally I think Pogo either made a mistake or they’re all HIGH as a Kite ! Well if they are all HIGH as a kite why didn’t they share it with us – the loyal members! LOL…they need a break from their crazy selves. I just looked at Badge Central and it’s only showing Solitaire Gardens and Pogo Daily Sudoku. That “New Pogo experience” you can apply for is the same we could apply for not long ago or is it a different one? Should we apply? I mean, if we apply do we gain exclusive acces to whatever new things are in store, access that you wouldn’t have if you don’t sign for? Or is is just some kind of beta test for new games/features? Well Pogo removed the 10 challenges and just left the 2 current challenges – Pogo Daily Sudoku and Solitaire Gardens. So it must have been an error. Got a serious question. I am running windows 8.1 Pro and it seems like every time Pogo does maintenance i can’t open up the htlm games. Really weird cause they worked Monday and than wham the won’t load on tuesday. What is a person to do. I have to redo my hard drive every time.. Any one have any ideas i refusse to get a Windows 10 computer when i only got a couple of years left in my life. What browser are you using? I use chrome and it seemed to work better. You never know if you only have a few years left….. I am now looking at it that I have only a few years to spend my kids inheritance. Actually most of my friends are in their 90s and I am not quite there yet so I am not saving the good dishes for them.. Does this mean that pogo Llama is the only 1 that answers questions?? I’d believe it. Pogo has just gone in the sewer. Sure not like it use to be. Yes, she is the only one that sees the comments, moderates the comments, and answers the comments.